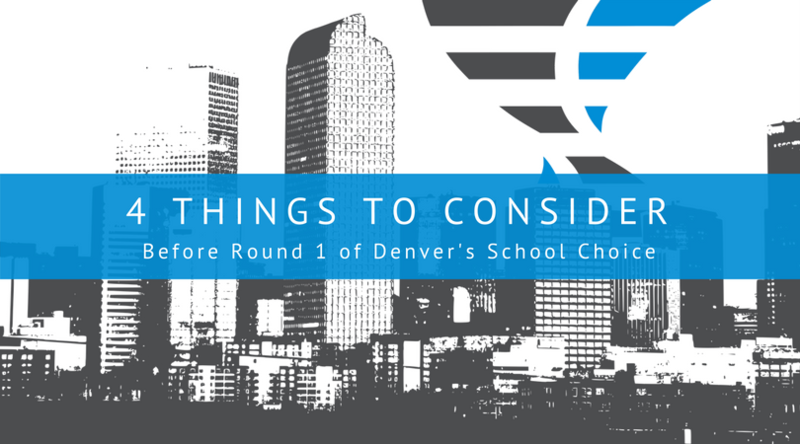 In Denver, any student who wants to attend a school other than their neighborhood school can take part in School Choice; and round 1 of the School Choice window opens next week! Denver families will have from Thursday, February 1st until February 28th to submit their School Choice form on the DPS School Choice website. However, if your family isn’t quite ready to fill out the online school choice form, do not fret. The window is not first-come, first-serve, so you still have a whole month to investigate your options. Have you researched potential options? A great first step is to work with your student and family to determine the kinds of thing you all value in a school. After the family has a general sense for what they’re looking for, they can both talk to other families they know who value those same things and they can also visit DPS’ school finder page to explore potential schools. You can also view a list of all DPS schools using their enrollment guide. You can look at each school’s performance and their programs to determine which schools will best support your child. A couple of good resources for this are DPS’ School Performance Framework and Colorado School Grades. Also, utilize your student’s current teacher when looking for programs that might be a good fit. After all, they do spend about 8 hours a day working with your child. Have you visited your top-choice schools? It’s no surprise that the best way to get a know a place is by experiencing it, not reading about it. While school websites can give you a peek into requirements, schedules, and offerings, visiting a school can give you all of that- and a look into the possible experience your child will have at the school. After all, school culture and community can be equally important as academics for your child’s school experience. At DSST, we offer both tours and open houses (Interested? Sign up here!) which are great opportunities to see our campuses and ask questions of our students and staff. Are you in your top school’s enrollment zone? Some schools in DPS reside within enrollment zones, including most DSST schools. Enrollment zones are geographic areas where the students living within it are guaranteed a seat at one of several schools, not just one particular school. If your student’s top school is within your families’ enrollment zone, there is a higher chance of the School Choice process matching you with that school. While choosing a top school usually comes naturally, it’s important to consider not just your child’s top choice, but four other great options as well, in the case that they are not placed at their top school. The DPS School Choice process allows families to choice, in preference order, up to 5 schools. Take advantage of choosing these 5 schools thoughtfully, to best ensure that your child is placed at a school that is a good fit. Typically, families are informed of their placements in April. After this, the next phase of the choice process, Round 2, begins. During this period, families placed on waitlists are able to evaluate their options and choice into another school. This is done in schools, unlike Round 1, and spots are filled on a first-come, first-served basis. We know this is a big decision, and we wish you the best of luck finding the right fit for your child during the choice process. If you’d like to learn more about DSST, visit our website here.